I have a tendency to over-buy ingredients. It’s this paranoid fear that I’m going to screw up a recipe, so I want to have enough of something on hand to restart the process if that happens. With pantry items, that’s not a problem, but with perishables it sometimes leaves me scrambling to think of what to do. 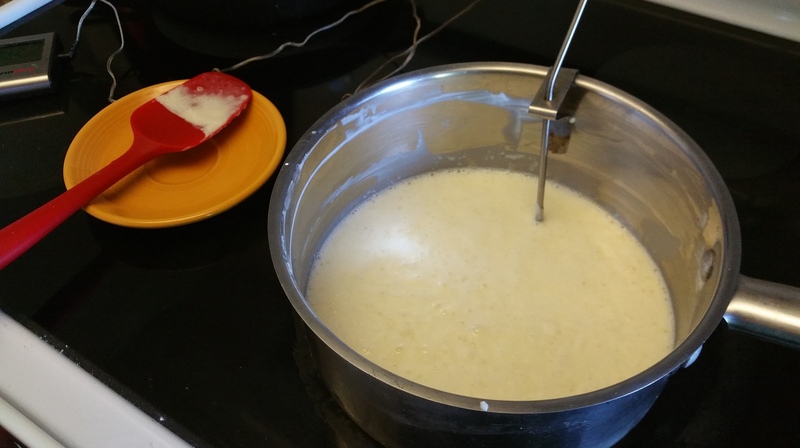 When I was making candy recently, I ended up with several cups of leftover heavy cream and didn’t want it to go to waste. Then I realized WOW, it’s been a long time since we made cheese together. Shame on me, because homemade cheese is extra fantastic and in a lot of cases does not require any sort of special equipment or ingredients. 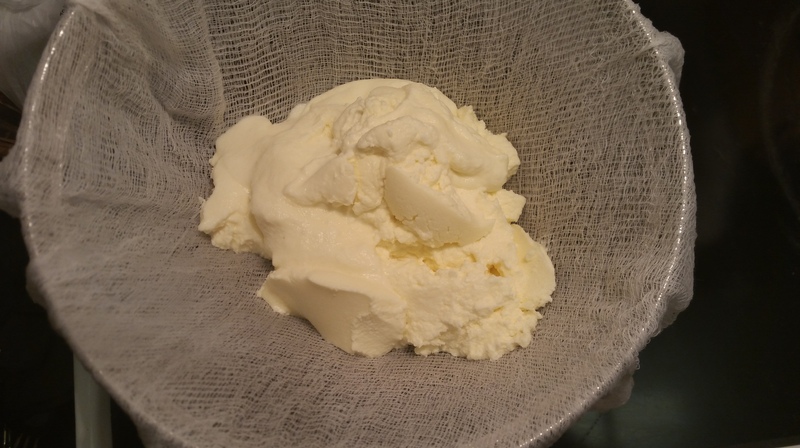 Ricotta, for example, can be made in under an hour with just milk, buttermilk, and a piece of cheesecloth. Make some lasagna with that and you might never want to go back to store-bought again. While many cream-based cheeses require starters, mascarpone, Italy’s excellent cream cheese, requires little more than some heavy cream, powdered milk and a lemon to create. 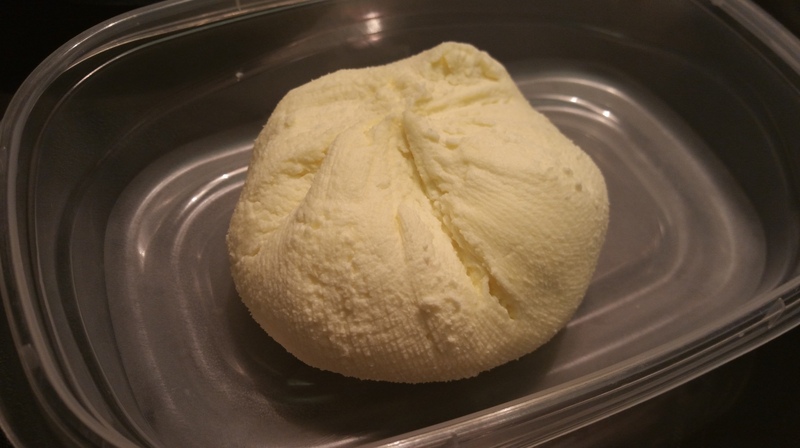 A cream cheese is a wonderful blank slate with all sorts of applications. Your time at the stove will be quick, I promise. It does have to set in the refrigerator for at least 8 hours, so start this one early in the morning or the day before you want to use it. 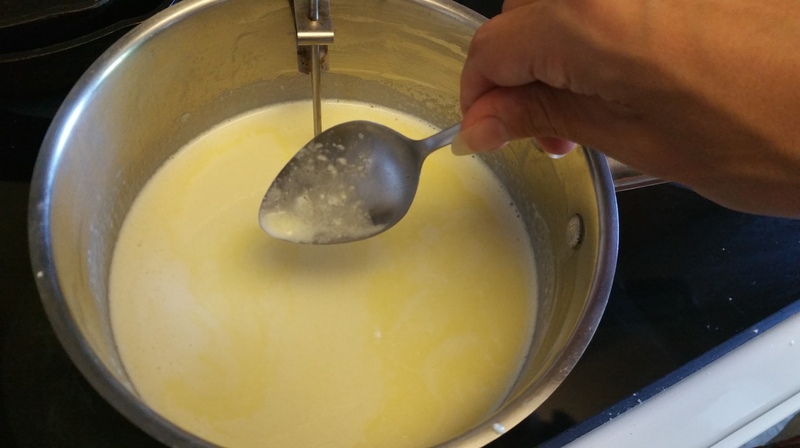 Whisk the heavy cream and milk powder together in a heavy-bottomed saucepan over low heat. 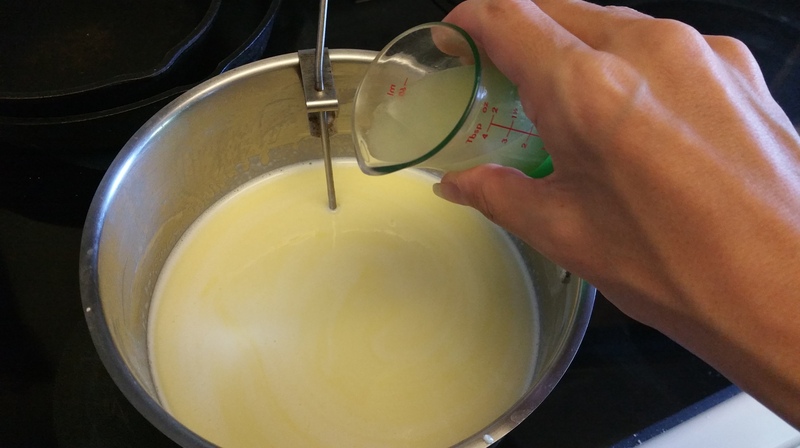 Attach your thermometer and slowly bring the mixture to 180 degrees F, stirring regularly to prevent scorching. Once the desired temperature is reached, remove the pan from the heat and switch to using the metal spoon if you are not doing so already. Stir in half of the lemon juice. 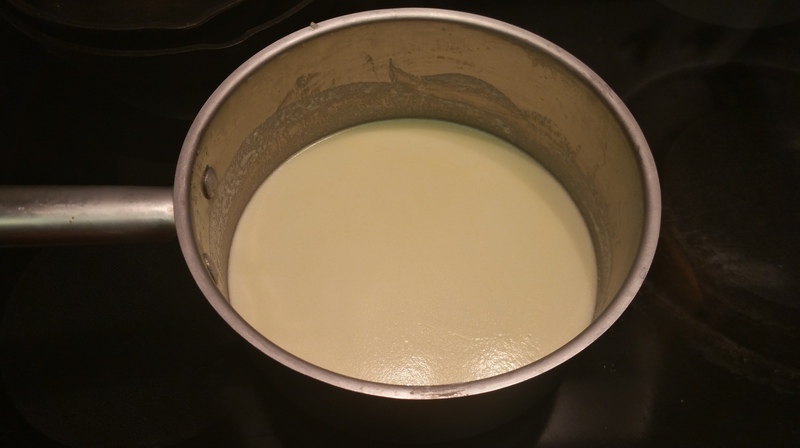 You will not see large curds separate from the whey, rather the mixture will begin to thicken. 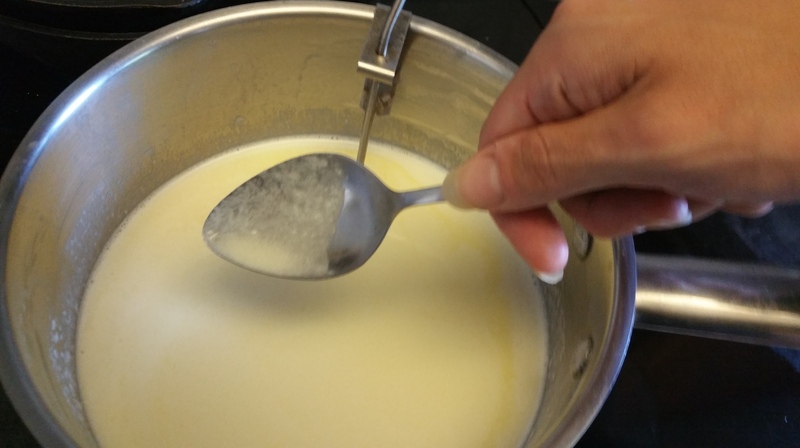 Watch for it to coat the back of the spoon and for some specks of solids appear in the mixture. Add the remaining lemon juice and stir to combine. Cover the pot and refrigerate for 8 hours or overnight. Once the mixture is firm to the touch, you are ready for the final step. Dampen the cheesecloth and line the colander with it. 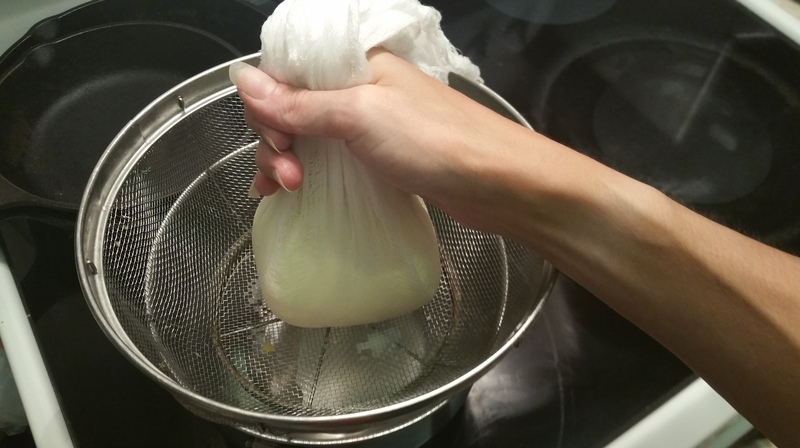 Transfer the cheese to the cheesecloth-lined colander, pull the ends together, and squeeze firmly to remove the excess moisture. This will make the cheese thick and spreadable. 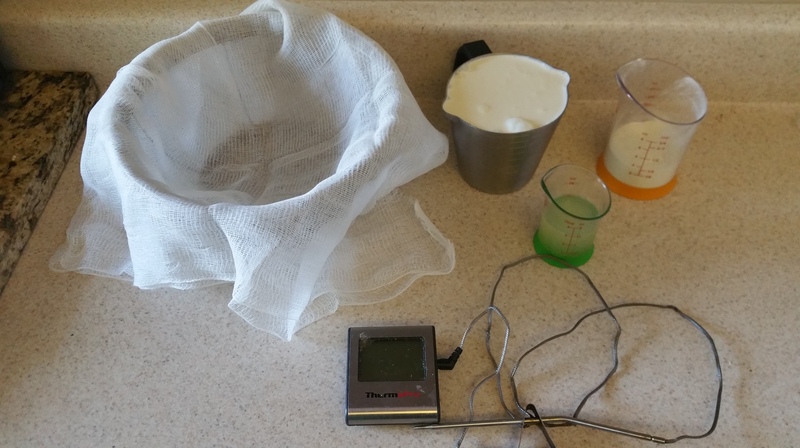 The mascarpone is ready to use, hooray! This recipe yields about 12 oz. of cheese. While the most common application is tiramisu, mascarpone is great spread on toast, mixed into sauces, served with fruit, or even stirred in to finish risotto. You can also sweeten it and use it for cheesecakes, cake fillings, or as a substitute for whipped cream on top of cake or pie. So many uses you’ll probably want to make more. 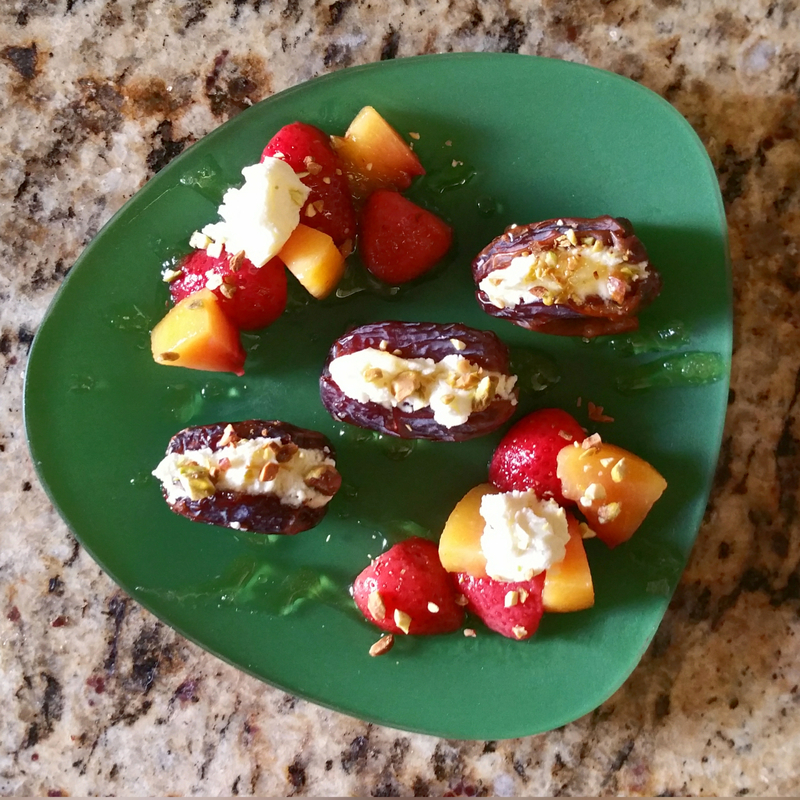 My favorite application is mascarpone-stuffed medjool dates with crushed pistachios, honey, and fruit. YUM. If you aren’t going to use the cheese immediately, store it in a well-sealed container in the refrigerator and use within a week. With a few simple ingredients and some time, you’ll have enough on hand to play however you like. Creamy, soft, and just a little bit lemony, it’s a treat you don’t want to miss.